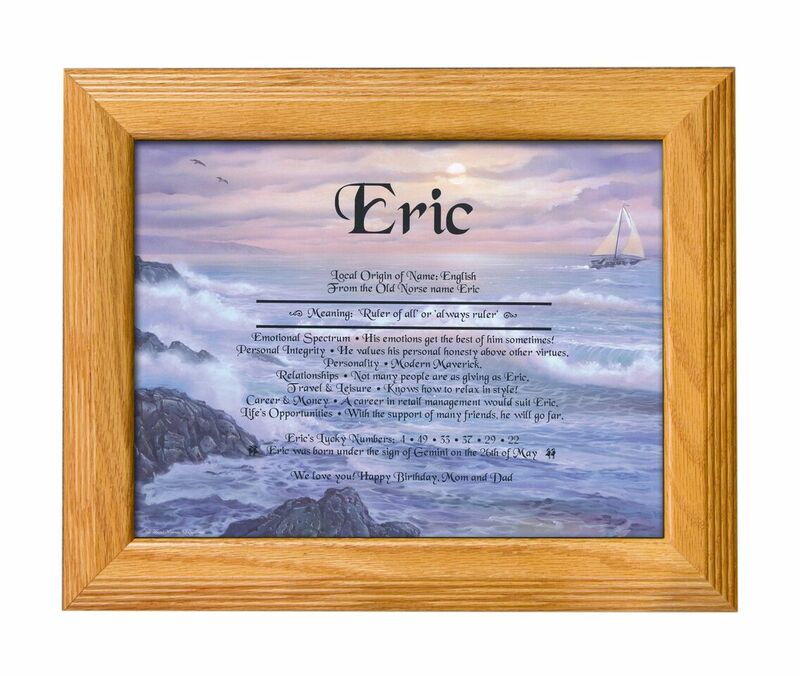 Personalized Name Print. The Meaning of Your Name. Includes origin of person's name, & general characteristics for emotional spectrum, integrity, personality, relationships, career, life opportunities, the month and day of the person's birthday, and your personal 50 character message, 8.5 x 11" wood frame, beautiful ship with rocks at sunset scene.